Two Middle Georgia State University history professors have authored a biography of Fuller E. Callaway, an American textile manufacturer from LaGrange, Ga., who was regarded as one of the leading industrial magnates of the Southern U.S. during the first decades of the 20th century. Dr. Carol Willcox Melton, associate professor of history,and Dr. Buckner F. Melton Jr., lecturer of history, co-wrote "Fuller E. Callaway: Portrait of a New South Citizen," which was just published by Looking Glass Books in conjunction with the Georgia Humanities Council and the Fuller E. Callaway Foundation. "Beginning with almost nothing, Callaway succeeded at everything, rising in the span of four remarkable decades from lightly educated farm boy to powerful, nationally prominent business leader whose extraordinary energy and entrepreneurial verve helped propel LaGrange and Georgia out of the economic devastation of the post-Civil-War period. 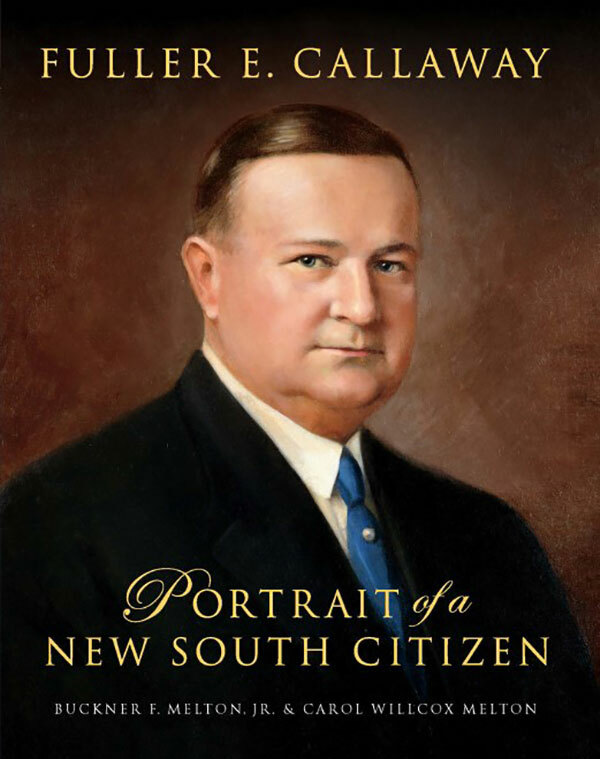 "The work is filled with memorable characters, from Callaway’s colorful hometown cohorts to famous friends, like muckraking journalist Ida Tarbell, who once asked the legendary businessman, 'What do you do in LaGrange?' and reported Callaway’s reply: 'We make American citizens, and run cotton mills to pay the expenses.'" The book is available for purchase at amazon.com and fullercallaway.org. Dr. Carol Willcox Melton is the author of "Between War and Peace: Woodrow Wilson and the American Expeditionary Force in Siberia,1918–1921." Her husband, Dr. Buckner F. Melton Jr., is the author of a number of books, including "Aaron Burr: Conspiracy to Treason;" "A Hanging Offense: The Strange Affair of the Warship Somers;" and "Sea Cobra: Admiral Halsey’s Task Force and the Great Pacific Typhoon."